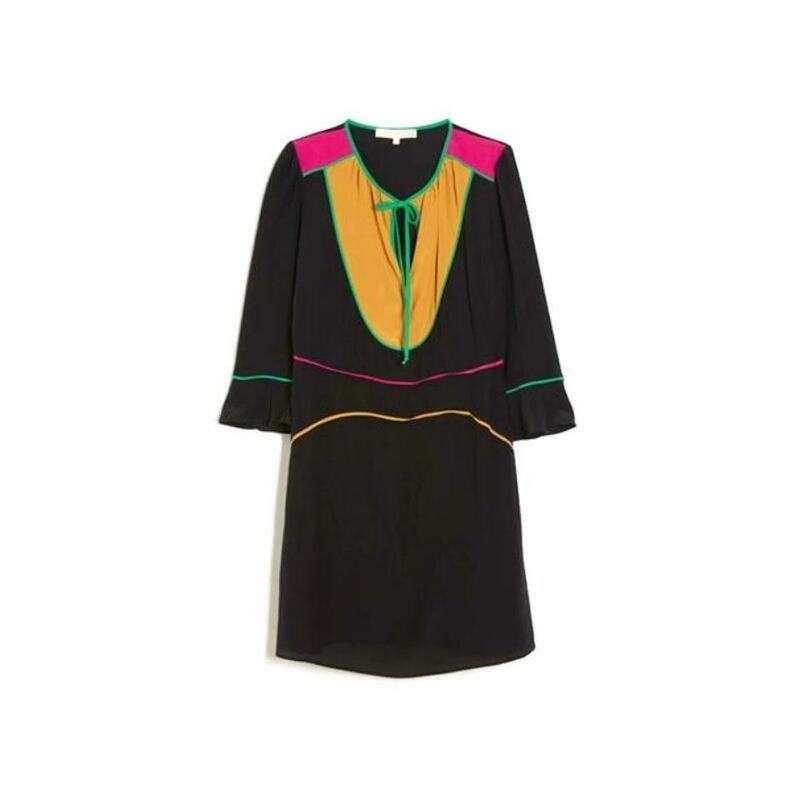 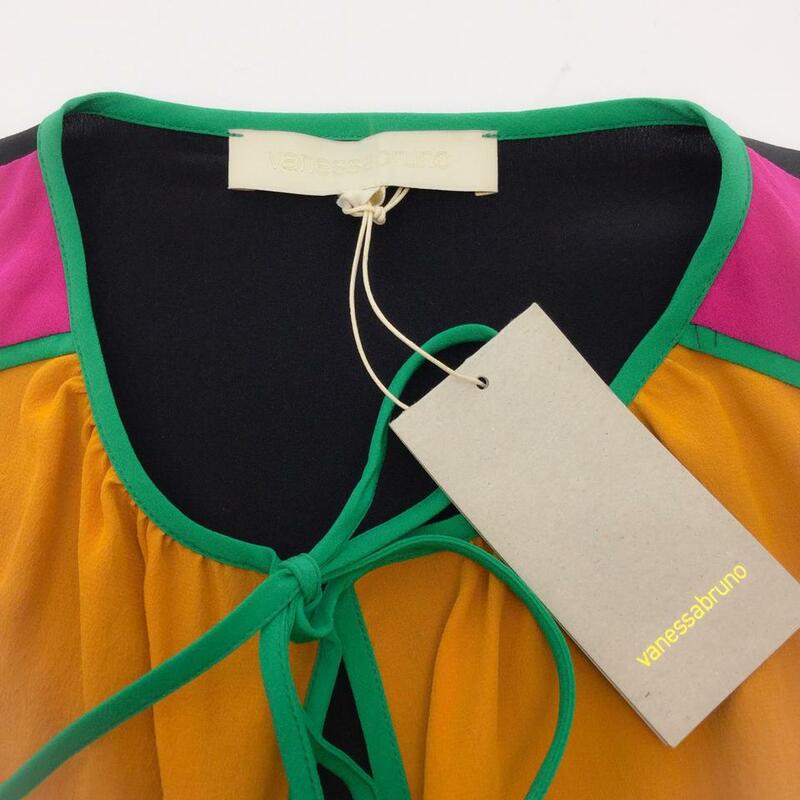 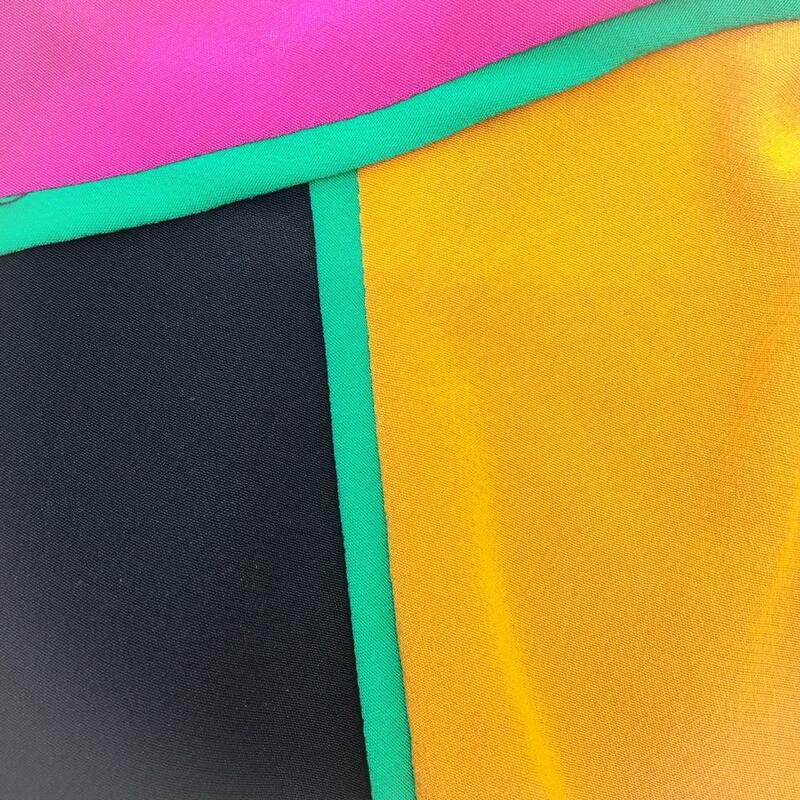 Vanessa Bruno dress featuring black silk accented by multicolored detailing. A bib front and string tie neck coupled with bell sleeves add an air of femininity and grace. 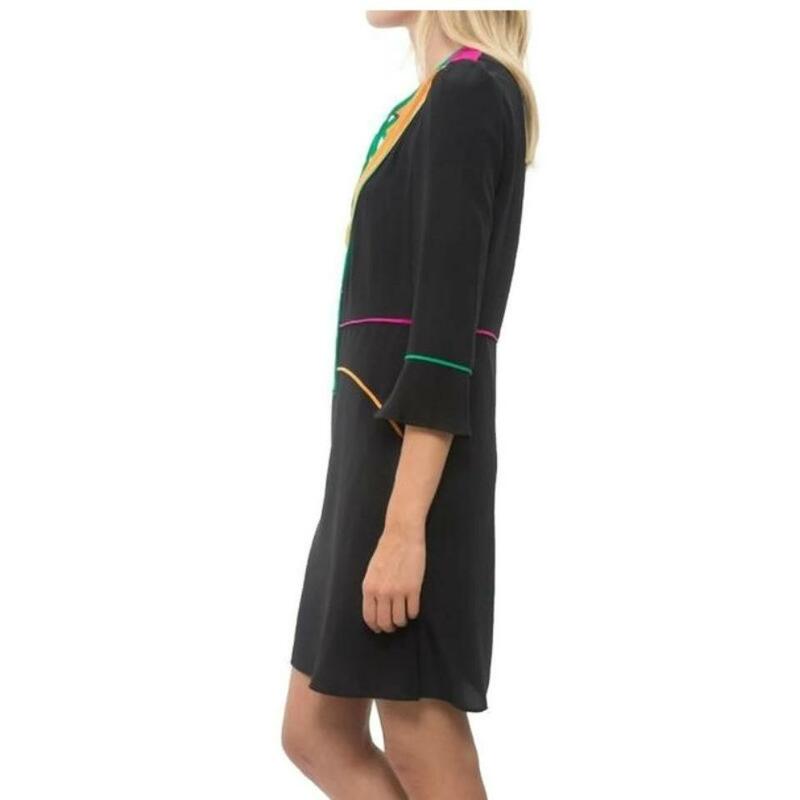 A shift dress style, this piece is an instant outfit for any day out!